September is here and we all know what that means: it’s time to bring out the money and participate in the gift giving season! Of course, that also means we are yet in danger of another round of holiday debt. That may be a bit pessimistic but we all have to face the reality that amidst the joyful season, we are putting ourselves in danger of breaking our budget. Apart from the back to school season, the holidays is probably one of the most expensive seasons in the the country. We all scramble to remind those around us how special they are by giving them tokens and gifts. We try to be as generous as we can to give each and everyone something new for the holiday season. But before you get carried away, you need to be wary of how you will go about your holiday shopping. While the good intentions are there, bad spending habits can immerse you in so much holiday debt that you quickly forget the joyful feeling of the season. Fortunately for you, holiday debt is something that you can avoid. All it takes is a bit of preparation to help you enjoy the festivities without worrying too much about spending more than what you can afford. Here are various tips that can help you stay debt free this coming season. Set up a budget. When it comes to financial planning, a budget can help with it in more ways than you can imagine. Look over the money that you have and compute for an amount that you can afford. You need to consider both gifts and the food that you have to spend on. Include your decorations too if you need to buy new ones. Identify the budget that you can allocate for each expense category and make a commitment to stick to that. Feel free to use tools like the holiday budget calculator from PracticalMoneySkills.com. That should help keep your budget from being too complicated that it becomes difficult to follow. Track your spending throughout the season. You budget will give you directions but it is up to you to track everything that you spend on. This is the only way that you can ensure your budget is being followed strictly. In case you feel that the budget you have allotted for particular category is not enough, review the whole budget so you can decide if you can cut back on anything or you have to increase your income. Create a gift list. One of the most expensive categories that you will encounter involve gifts. List the people you want to give to and allot a budget for each person. This is a bit tedious but you need to go through with it to keep yourself from overspending. If the budget you have allotted is not enough, you may want to trim it down by coming up with low-cost gifts for some of them. You can bake batches of cookies to give to your colleagues. You can make coupons to give to family and friends in exchange for services that you can give. Things like mowing the lawn or cooking dinner for them one night. These are all gifts that will remind them how special they and still keep you from breaking the bank. Shop early. The holiday season will increase most prices so it is a really good idea to start your shopping early. It will give you more time to hunt for bargains and look over products before buying them. Skip both Christmas cards or expensive gift wrappers. If you bought them gifts already, skip sending Christmas cards. If you really want to, just opt for electronic ones. You can also keep the wrapping simple. Just be creative with it so it will not appear too cheap. Try not to ruin your holidays and post holiday experience by overspending. You don’t want to cut short the experience by worrying about holiday debt. You want to be able to relish the joyful season even for just a few more weeks. As mentioned earlier, your biggest expense will be on the gifts that you will buy. 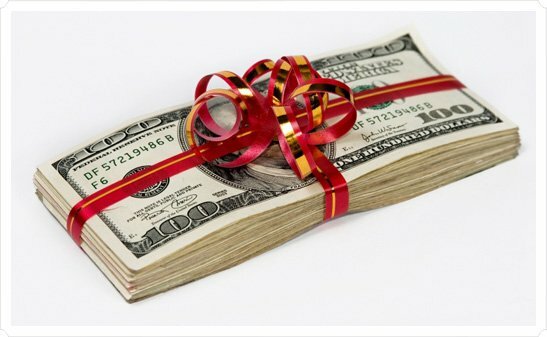 Here are some tips that will help you maximize your gift giving capabilities without breaking the bank. Exchange gifts. Instead of buying everyone a gift, you will put the name of everyone in the family or group in a container where you will all pick a name. Whoever you pick will be the person that you will buy a gift to. You can set a price limit that everyone will follow so the gift giving will be fair. Come Christmas morning (or a set date), you will all gather to give your gifts. You can add to the fun by explaining why you picked that particular gift for the person you are assigned to. Recycle old gifts. We all get gifts that we have no idea how to use. You can recycle these gifts and send them to someone else. Just make sure you will not send it to the original giver! Give your time and effort as a gift. We mentioned earlier about giving coupons that indicate services that you can perform for loved ones. Examples of these services include babysitting, gardening duties, shopping errands – any service that you think your loved ones will really need and appreciate. Make the gifts yourself. If you can bake, just whip up a batch of cookies that you can put in decorative boxes and send out as gifts. There are many things that you can do by hand and if you take the time and effort to make them yourself, it will be all the more valuable. Remember that the holidays is not about how much you spend for it but more of how you will make the experience special. A lot of the best memories made during these times do not really cost much. As long as you spend it with the ones you love, you should have the time of your life despite having a limited budget.